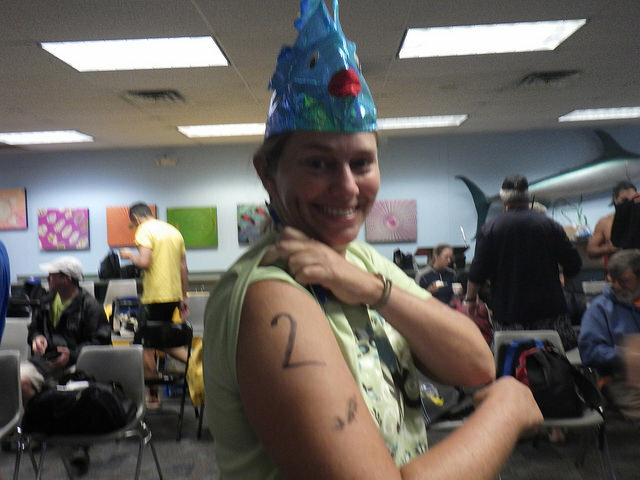 Last Weekend's Fun, Part 1 - I Swim! Last weekend was just spectacular, and I'm sorry I haven't had time during the week to write about it and share some of my pix! I kicked things off on Saturday morning with the Coney Island - Brighton Beach Open Water Swimmers' Coney Island 3-2-1, formerly known as the Triple Dip. This is a combination race where you can swim one, two, or three miles; I've been doing a good bit of swimming to get back into shape after my medical woes of the winter and spring, so when the call went out for volunteers for this and last week's Breezy Point swim, I thought it would be fun to actually swim the one-mile distance. 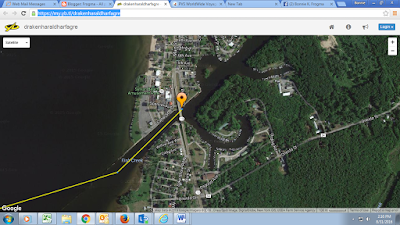 I'd done a mile for my last swim in Lake Randall in Michigan so I was pretty sure I could do this. 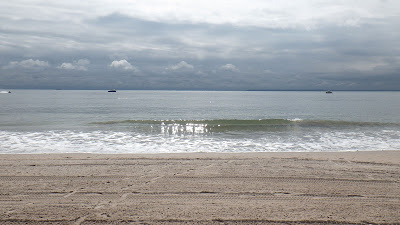 It was stormy the night before and still pretty gray and gloomy when I headed out to Coney Island. I was kind of worried about it but as it turned out, the water temperature was just perfect and I had a wonderful swim. Not fast, but oh so nice. Click here for the day's Flickr album. No pictures from during the race, I'm slow enough without distracting myself with my camera, but some nice ones (I thought) from before and after, including some classic cars. The sun came out after the race and it would have been a lovely day to just hang out out there (and there was a post-race party I could've gone to) but this was not my only planned fun for the weekend and I had some getting ready to do. Pix from Sunday to come! The usual September work marathon continues, but I was able to sneak out of work for a couple of hours today to go visit the spectacular Viking visitor in North Cove. What a splendid vessel. Flickr album here, Draken expedition website here. She's going to be out sailing around again tomorrow, then back at North Cove with tours available on Saturday the 24th and Sunday the 25th. Seriously, if you're in NYC and you have time this weekend, go take a look at her, she's stunning, ad hey, if you go on Saturday you could combine that visit with the Submerge NYC Marine Science Festival, which sounds terrific. That would make for such a good day on the waterfront! The Dragon, the Star*, and the Lady in the Harbor. I just had to see these photos next to each other. 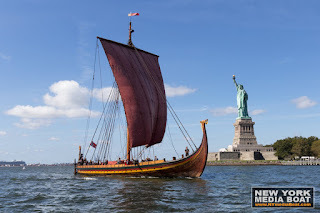 Hōkūle'a visited us in June and is now heading back our way after a visit to Canada via the Erie Canal and the Great Lakes; Draken Harald Hårfagre just arrived here in NYC, after their own visit to the Great Lakes, on Saturday the 17th. I wish I could've been there when the voyagers met on the Erie Canal! 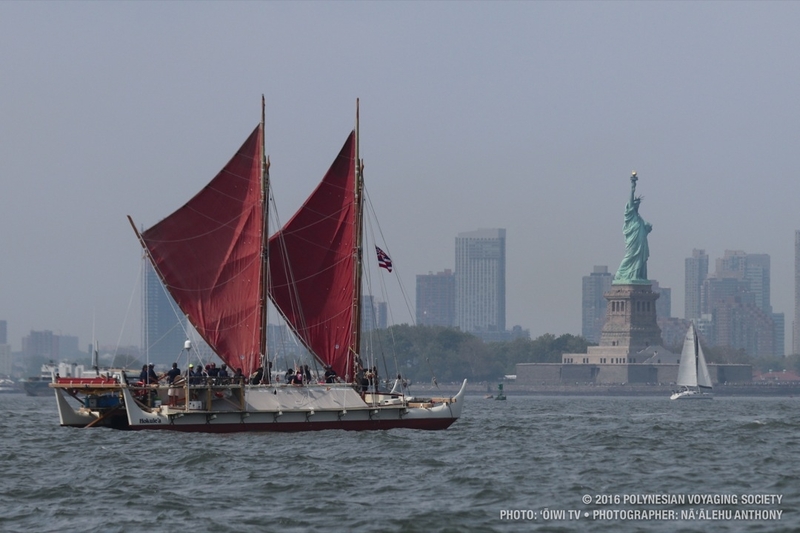 I'd loved the photo of the Hōkūle'a at the Statue of Liberty that Nāʻālehu Anthony at ʻŌiwi TV took in June, and when Bjoern Kils from the New York Media Boat posted his similar shot from the New York Media Boat, I just had to see the two shots side by side. 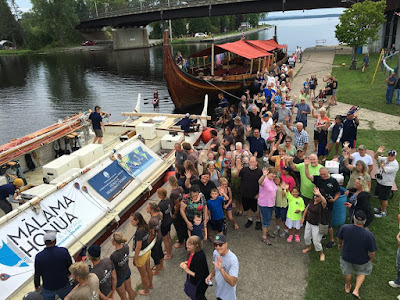 Visit the NY Media Boat blog for more glorious photos of the arrival. For full details on the Viking longship's visit, through next Sunday, click here. *Hōkūle'a = "Star of Gladness", the Hawaiian name for Arcturus. As semi-promised in a comment in the Cyclone post, I did get home early enough to run through the rest of my Coney Island pix. Fun seeing how much people were savoring that symbolic last weekend of summer (Old Farmer's Almanac says the Fall equinox is on 9/22, but somehow those weeks after Labor Day don't seem to count) - probably all the more since we'd all expected to spend most of the weekend looking out the windows at the storm. It was a lovely afternoon out there, I was originally planning on just getting some cleaning done as I'd planned when the weather was supposed to be foul on Sunday and Monday, but I didn't think twice about it when I got my friend's text saying he was on his way out to do a little picture-taking and did I want to come along. Heck yeah. And that was a good call, too. Click here for the day's Flickr album. Just a request on the off chance anyone wanders back into the archives here - a while back, Google decided to kill Picasa Web and just make it all into Google photos. 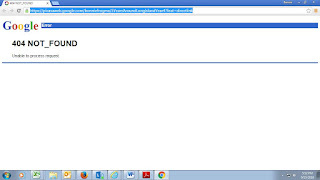 Links to Blogger were supposed to keep working and that is the case where I uploaded pictures directly to a blog post, but anywhere where I'd linked to a Picasa Web album using the URL, you now get an error message. 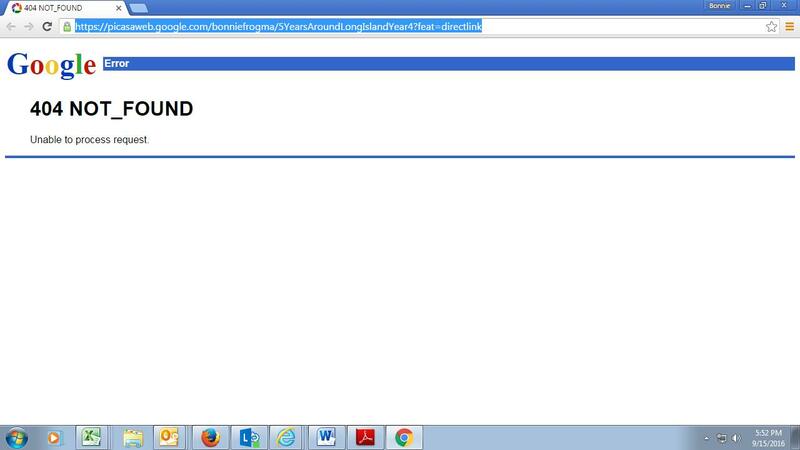 I don't think people generally look that far back, but on the off chance you ever follow a link in an old post that's supposed to take you to an album, and you get this page instead, could you do me a big favor and leave a comment about that on that post? That would let me find it and fix it.The albums are still available, it's just the links that are broken - this is not a high-priority project for me as this blog is and always has been just for fun, but I will fix them as I find them. Thanks! 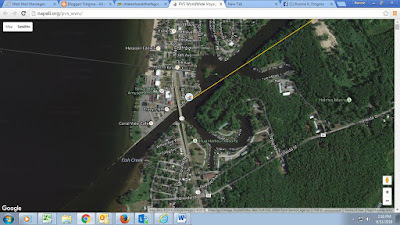 The link in the sample actually popped up in my Facebook memories - in 2010 we'd just finished the 4th leg of the 5 Years Around Long Island Trip - link was https://picasaweb.google.com/bonniefrogma/5YearsAroundLongIslandYear4?feat=directlink - now it's https://photos.google.com/album/AF1QipOoy4E_vhewGJRWKq58x_AIJjRUrhvzOZSzRAMd". I should have a "nerd" label for posts like this. Gah, usual September craziness at work. How about some Cyclone pictures? World famous, Coney Island, etc., etc. Click for better view. Quick lunchtime post before I get too far behind here! Click here to go straight to a Norwalk flickr album! September always gets very stressful at work but at least I'm going into the deadlines with a wonderful holiday weekend behind me. This post is about Day 1 of the weekend. The forecast for the Labor Day weekend hadn't looked so hot, with Tropical Storm Hermine headed our way the predictions were for Saturday to be OK, with Sunday and Monday being total wash-outs. 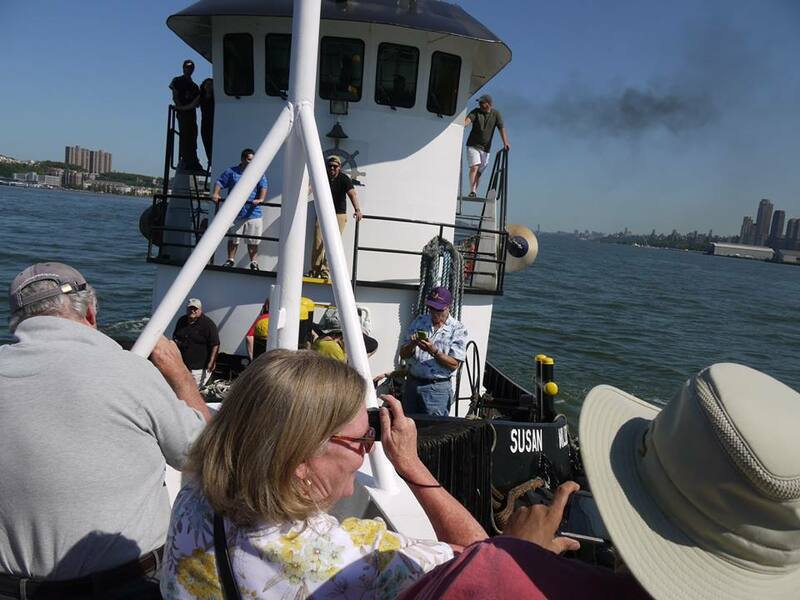 Oh, btw, the tugboat race I always love attending was postponed to October 9th, if you're somebody who usually leaves town for the holiday but always thought that sounded like fun, this is your lucky year! Not mine on that front, TQ and I have some excellent vacation plans around then, but it's always great fun, you can buy tickets for the spectator boat or see it from the pier for free, I seriously can't recommend it enough. Here was a very entertaining moment from last year, when my friend Mandy and I went on the Circle Line spectator boat, which got challenged by the Susan Miller from Miller's Landing during the bow-to-bow pushing contest. That was a blast. Tugboat won, of course. Anyways, I'd planned to do that but honestly wasn't entirely disappointed to have that day freed up - I've been enjoying summer with a vengeance this year after my fall winter and spring of medical woes, but I had it in the back of my mind that I could actually use a good rainy weekend for a guilt-free day of chillling at home - a little cooking, a little cleaning, a lot of lazing about with a book on the Evil Futon of Nap, oh yes, heavenly. Saturday looked nice though, so I signed up for the mostly-annual (we didn't do it last year, I think there was some renovation work or something going on, but other years we have) Sebago Canoe Club day trip to the Norwalk Islands, where we are hosted quite splendidly by the Norwalk Yacht Club. I always love paddling this area - TQ was living in the vicinity when we started dating, and a lot of our dates involved paddling out here, sometimes with camping (I loved that), and then there were also a lot of weekend dates when he had to work but I would come up and go for a paddle on my own and then meet him afterwards. Unfortunately he's still working weekends so couldn't join me on this return to our old stompin' grounds, but I still enjoyed it. The weather did end up doing a bit of a switcheroo - Sunday and Monday ended up being breezy, but rather lovely as Hermine went offshore, while Saturday ended up being the grayest day of the weekend (and also breezy). It was quite choppy too with an east wind blowing across the sound. We didn't paddle as far as we usually do, I think the planned "long paddle" was originally supposed to be about 12 miles and we ended up only doing about 8. I was pretty happy though, I actually haven't had much of a chance to see if my speed and endurance have improved (ok, the fireworks paddle was good, but the one time I specifically set out to do a paddle that would really let me compare my current condition with the shape I was in earlier in the summer was the time I got to the club to find that an old friend from my Irish dancing days was calling a square dance out behind the clubhouse) but there were some fast paddlers on this trip and I was able to keep up with them, plus I was able to take pictures and then catch up again, unlike one paddle earlier in the summer where I let everyone pass to take pictures and then went to catch up only to find that my high gear was gone. That was jarring! Definitely getting better now. And I got to wear my yacht club dress to an actual yacht club. Stumbled across this while shopping for slacks for the office not too long ago, unfortunately completely struck out on slacks and will have to try again (ugh, shopping is not my favorite thing) but this was on sale and I liked it and the last time I got invited to a wedding I had this stressful and in the end rather expensive scramble to find a dress, so I figured I would grab this one and maybe spare myself a similar scramble for something to wear to some theoretical future summer shindig. As I was handing over my credit card, though, I was seriously wondering whether I would ever actually wear it. So when I was getting ready to go to the yacht club I thought "Hey, why not wear my yacht club dress at the yacht club?" And I did. This was an unusual enough occurence that a clubmate suggested a photo should be taken, so we did that. Ahoy! Oh, ps, I did NOT use this as an excuse to not help load and unload my boat. Those might have been the more entertaining pictures! Aah summer. Gotta get that last round of tomatoes in! I forgot to update Frogma with the third of my series of screenshots of the Hokule'a and Draken Harald Harfagre trackers, which I was following with glee all morning. This was around 2:15 and I was absolutely delighted to see it! And here's how that looked from a slightly lower elevation! 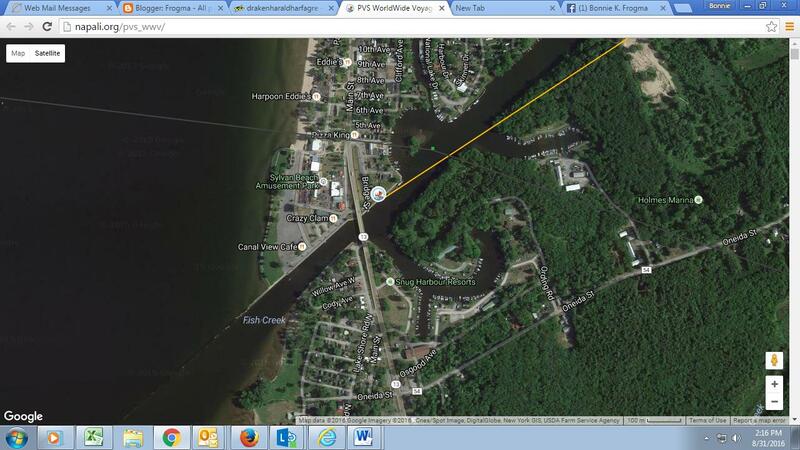 Photos from the NYS Canal System facebook page. 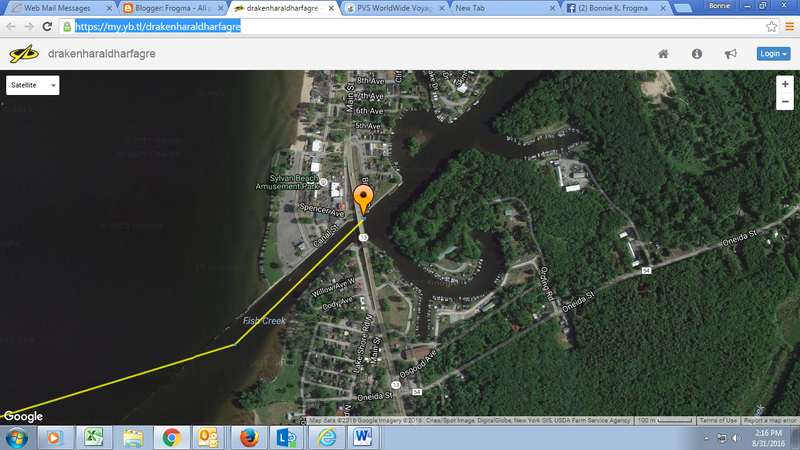 Can't wait for the trip TQ and I are taking on the canal this Fall, more about that some other time, oh yes! My friend Louise was able to make it to the event, which we actually helped facilitate. I can't get over the fact we were able to do that but we just ended up being in the right places to put the two voyagers in touch; she's of Norwegian descent and had been following the Draken's visit and gone to see them in Oswego, even finding a family connection among the crew, and of course I'm still all aglow every time I think about Hokule'a's visit to NYC. 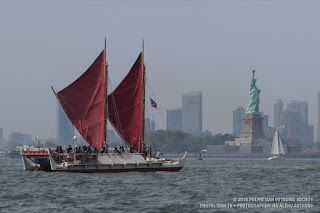 We got to talking to each other about how exciting it was that these two voyagers from Norway and Hawaii would actually be passing right here in New York State, and then she got in touch with her friends on the Draken and I did the same with the Hokule'a and then we put them in touch with each other and they took it from there, with Louise also getting some good notifications about the developing details out to WoodenBoat magazine (that's another Facebook page, sorry non-facebooking friends!) and others. How cool is that? I couldn't get there of course but knowing she was there was almost as good. In fact I think that might be her in the kayak just off Draken Harald's bow. She got some great shots and talked about the event on her Facebook page (see the horn that the Draken crewmate in the yellow shorts has? Louise said the salutes between the vessels using that horn and the Hawaiian pu shell trumpet were "bone-chilling", I bet there wasn't a person there that didn't get chicken skin then! ), I'll see if she'll let me borrow some of those for a very cool post, but for now I'm just sneaking in a lunchtime update. Much to do at work today as I was very very distracted yesterday!